Around the first of each month we send out a newsletter to previous guests, enquirers, and associated mailing lists. They are full of news on what we are up to, detox information from Dao, raw food recipes from Nikki, and tips from the team on how to stay healthy in our crazy world. If you would like to receive future mailings, please sign up at the bottom of the page. Remember back to chemistry lessons when you learned about the PH scale? This measurement system for acidity/alkalinity runs from 0 to 14, with 7 neutral, below 7 acidic, and above 7 alkaline. All foods fall somewhere on the scale, according to how many minerals they contain. 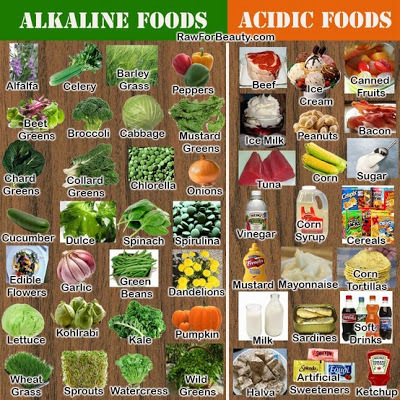 Generally fruits, vegetables and seeds will make the body more alkaline, while meats, dairy, eggs, grains and beans, nuts , alcohol and coffee will make it more acidic. Why is this important for health? Blood needs to stay between 7.35 and 7.45 PH for you to stay alive...and if you are eating an acidifying diet, the body will have to keep adjusting the blood PH by buffering it with minerals – calcium, magnesium, potassium and sodium – which it will borrow from bones, organs and muscles if necessary. Lack of energy, chronic exhaustion, premature aging, bladder and kidney problems, muscle aches, headaches, acne and eczema, low immunity, weight gain and even osteoporosis. Eating plenty of raw fruits and vegetables can prevent and reverse acidosis. Start your day with a JUICE OR SMOOTHIE (see previous news;letter for recipe) and eat a big salad as one of your other meals, and you’ll be well on the way to the recommended 80% alkalizing foods and 20% acidifying foods. Stress, anger, and environmental toxins can also make the body acidic, so don’t forget to clean your home with eco friendly products, use natural body care products, and add fun, sunshine, exercise and relaxation into your recipe for a long and healthy life. And go to the top of the vitality class! 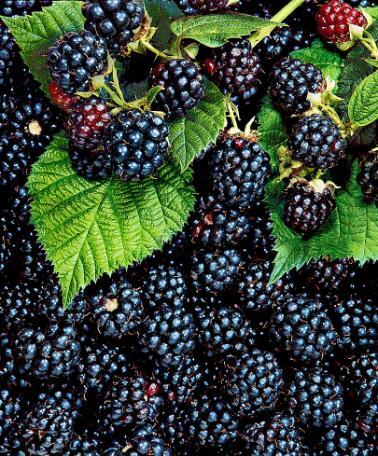 Something that signals the return to school for us here at Sura is the proliferation of blackberries in the hedges. Now is your moment to get a freezer full of vitamin-rich, flavonoid-loaded, phenomenally alkalising, local, organic berries, for free. Perfect to whack into smoothies throughout the vitamin-poor winter. 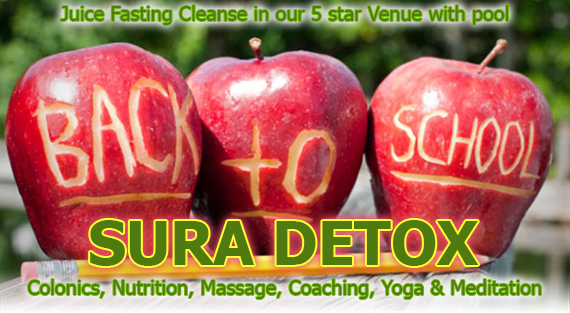 If you need us, we're always here running the retreats that have helped so many people to change their patterns for newer, healthier choices... Just get in touch. With love from Dao & Nikki, and the Sura team.